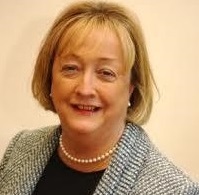 Professor Monica McWilliams teaches in the Transitional Justice Institute at Ulster University in Northern Ireland. She currently serves on a three-person panel established by the Northern Ireland government to make recommendations on the disbandment of paramilitary organisations in Northern Ireland. During the Northern Ireland peace process, Prof McWilliams co-founded the Northern Ireland Women’s Coalition political party and was elected as a delegate to the Multi-Party Peace Negotiations, which took place in 1996 to 1998. She was also elected to serve as a member of the Northern Ireland Legislative Assembly from 1998 to 2003. Prof McWilliams is a signatory of the Belfast/Good Friday Agreement and has chaired the Implementation Committee on Human Rights on behalf of the British and Irish governments. For her role in delivering the peace agreement in Northern Ireland, Prof McWilliams was one recipient of the John F. Kennedy Leadership and Courage Award.